Bought two tickets for New Zealand today. February 8 through March 1. If you want to know why the place is so appealing, click here. I will be checking out New Zealand's innovative system of care for the elderly. However, I am not about to ignore the scenery. New Zealand is a country of 3 million people. With a geographical area similar to Minnesota's, it has about half the people of our state. It is a parliamentary democracy. That means, when one party takes power, it has all power until it is kicked out of power. In that time, it has the ability to institute reforms and agendas without any compromise with the opposition. When one party proposes reforms in health care, education, farm subsidies or whatever, and that party wins the elections, those reforms are instituted immediately with almost no debate. There is, in effect, one branch of government. That means that policy ideas are implemented unalloyed by compromise. The unintended consequences arise more quickly and with greater ferocity. 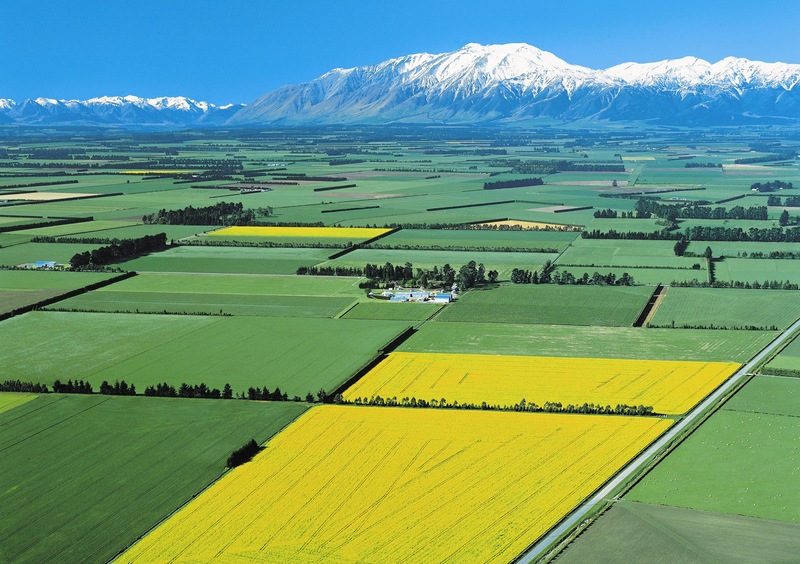 Due to that government structure, New Zealand went from high agricultural subsidies in the early 1980s cold turkey to almost no agricultural subsidies in 1987. I was there at the time and met two farmers who had lost everything, including their wives and families But in the end, after a difficult transition, the free market solution worked and, as far as I know (I am sure I will find out more on the trip), New Zealand agriculture is now even more prosperous than it was under the subsidies. New Zealand's education system underwent sweeping changes while I visited in 1988. I am eager to see what has come of those. Health care is subject to the same radical swings. The government has instituted sweeping cost-saving measures recently, and I am looking forward to seeing how they have turned out. Just tonight, I spoke to a man who is in the business of regulating airlines in Canada. He said Canada looked to New Zealand as the model for its regulatory regimen due to the Kiwi's ability to keep costs under control while achieving good results. So, I look forward to seeing Kiwi practicality in action in the area of eldercare. At the same time, I want to see how New Zealanders treat their elder relatives. Are they included in their small town life? Are they respected as resources? If any of you have connections in NZ that might help, please pass them along! This has been around for a while, but it is fun enough to watch again and again. After the first of the year, the assisted living project will start moving again as we will complete an application for a USDA loan at the same time we will be meeting bond attorneys to see what that option might hold. The FB community fund received an anonymous donation of $20,000 last week which was earmarked by the donor for use to install an electronic sign by the school. We put the money in a special fund. The project will require at least $40,000 to complete, so other donations will be needed. This is a good example of how a community fund is meant to work. A donor has an idea, in this case an idea for a new electronic sign at the school. The community fund can immediately create a sub-fund for that purpose. The donor does not have to create a 501 (c) (3) in order to start movement on the project. The community fund can take the lead in publicizing the project and can collect more funds. Because our community fund is a part of the Northwest Minnesota Foundation, NMF's staff does the tax documentation. NMF is equipped to do almost any sort of transaction, be it a donation of land or a donation of stocks in a retirement fund. Today, I received another inquiry about a possible tree planting project. This sort of thing is an obvious conflict of interest for me, so I have to make it clear that the trees will be provided at cost as inventory allows. We want to get rolling on planting trees in public areas every year, not just in Fertile, but in Beltrami as well, if possible. All it takes if for a group of people to get together and apply for a grant. An open, mild winter is a completely different experience. Today, I went after some more ash firewood. Very satisfying to have outdoor physical work this time of year. I am sore. It feels good. Although I touch up the sharpening on the saw regularly, yesterday Dad volunteered to sharpen the saw with his little electric sharpener. Boy did that make a difference. The saw just sunk through the hard wood of the green ash. It was snowing this evening. Fluffy stuff, and not too much of it. It can stay away. Decided to cut some firewood today, concentrating upon dead green ash trees near the swamp. The water is down on the swamp, so getting at the trees is not difficult. After cutting down two smaller trees, I went after a big dead one that I have been eyeing for a couple of years. It really came down with a crash. And when I started sawing it up, I realized--this is one old ash. So, I counted the rings and found over 115. I don't think I have ever seen an ash tree that old up here. What was interesting is that the rings alternated between being very widely spaced and being so tightly spaced that you could barely count them. I suspect that the wide rings were when the swamp was up due to beaver dams and the narrow rings were during dry episodes such as the Depression, or years when the swamp was drained by the ditch. It sure is fun to cut wood with a bare head on December 26! I am hitting the high note. Joe is playing. Lance and Kae are wondering what they got into. Last night's feast (below) was prepared by Kae (left), shown here with Mom (right). Photos by Lance with his phone. The food was absolutely delicious. Kae is used to cooking for a lot of people every day. in Thailand, everbody chips in and lots of people show up to eat. It is a communal affair. I think she misses that. She is cooking constantly, and frequently calls us up to come over. Above is a papaya salad Kae prepared a couple of nights ago. Wow! Notice the roasted cashews on top. There was also peanut sauce. And fish balls. And all sorts of other delicacies. Thai food is very healthy, but it can be very hot. I have not yet convinced Kae that I can handle the hot stuff. Maybe I can't! But she will block my hand when I tried to dish up some of the hottest stuff. "No no, not for falong!" she says sternly. ("Falong" means white people). Then she'll pile up some hot stuff on Lance's plate. Lance is used to hot stuff because his mother cooked Phillipino food during his childhood, even though he grew up in relatively vanilla Arvilla, ND. The above salad was finished off with a mortar and pestle. To get the right angle to crush the stuff properly, Kae excused herself and sat on the kitchen floor. I have eaten a lot of papaya salads in Thai restaurants, especially in Tucson, but nothing like Kae's! Well, as usual somebody decided to break the "no-gifts" pledge and as it unraveled people were running to get small gifts for each other. There must have been a sale on pistachios somewhere because out of the seven of us present, three gave everybody else pistachios! I was the big winner, getting a complete bag of pistachios from brother Joe and his fiance Kae. My other two pistachio gifts were smaller. Aunt Olla came out. She's really laid up with her bum leg from her last fall, but she wouldn't turn down a Christmas and she had a great night. Kae made a Thai feast, which Olla enjoyed. I made a leg of lamb and some mashed potatoes in case somebody needed something a little more western. No need. The Thai curries were sufficient, as was the Thai dessert. We had two rounds of dessert, one Thai, and then after we finished opening the gifts, some pie. In between, we played some music. Joining us from Thailand on Skype were Kae's relatives. It was early Christmas morning there and you could hear their dogs barking and the roosters crowing. They were eating rice for breakfast before work. I don't think they are taking the day off from their business. They are very hard workers. Tonight was the first time Kae had ever opened a gift in front of the giver. In Thailand, that isn't done. I can perhaps understand as Thais are very honest and to issue fake approval at a gift might just not be in them. Went in to the Hilton today to see if Aunt Olla was up to coming out tomorrow for Christmas. Despite a bum leg, she is game. Of course! She said she'd crawl up the steps at Mom and Dad's house if she had to. She did mention that, although her 100th birthday is only three months behind her and she's still recovering and looking through all the cards, people are already agitating for another party for her 101st next fall. "If I am alive, do you think we could have a party?" she asked plaintively. "Only if you're alive," I said. She told about her twelfth birthday when she sent out invitations to the neighbors without telling Mama. And they showed up, right in the middle of potato picking season when the house was full of dirt from picking potatoes. Millie wasn't too happy about surprise guests, but she made up a cake in a hurry. Mama took it in stride, as always. When she heard people were on their way, she tried to get the dirt out of the window sills, at least. Some of the neighbor boys got into Olla's watermelon patch and the girls had to drive them away with a stick. That was Olla's memory of her twelfth birthday. While I was at the Hilton, Aunt Ede and Uncle Orville stopped in. Ede's health hampers her housework, so Orville recently scrubbed the kitchen floor for the first time in his life. "I never realized it was so much work!" he said, after describing Ede's regimen of washing and rinsing and scrubbing the streaks from the stools by the island, a regimen he had no choice but to adhere to. "We had to have a committee meeting to go over the procedures!" Olla chipped in that none of the males in her family--save for perhaps her younger brother Burnett--would have ever thought of scrubbing a floor. No way! Women's work. Ede noted that since Orville had to wash the floor, suddenly he's so good about taking his shoes off when he comes in from outside and picking up even the littlest scrap on the floor. She should have had him do it fifty years ago! Olla's mind is a little clearer than it was a few weeks ago, but she is still suffering a little memory loss. It frustrates her to no end because she is aware of it. "I am bluffing a lot," she said today. "My left brain has been cooking up all kinds of things." She gets convinced of some things which may have not happened. Then, later, she realizes that it might have been her mind. That's her left brain, screwing up again. At noon Thanksgiving day, Olla called out to Mom and Dad's and said, "Eric said you were going to pick me up for Thanksgiving dinner!" Well, I was not around for Thanksgiving, and I would not have committed Mom and Dad to that without at least asking. Mom and Dad weren't planning any dinner because we had had a nice meal the Sunday before to celebrate early. Olla had turned down the invitation to that event due to a cold. But when Olla called Thanksgiving Day, poor Dad, not knowing any better, roared in with the van and picked up Aunt Olla as Mom scurried to pull something together in the kitchen. Two weeks later, Aunt Olla realized that it had been in her imagination. She asked me, "you didn't tell me that they were coming to get me, did you?" I said it didn't matter one way or the other, just forget about it. "How do they survive on just lettuce?" she finally asked. Apparently, Mom had made a salad in the few minutes she had to prepare a meal. "Are they on some sort of diet?" Life with a 100-year-old is never boring.